I love bittergourd, but am not too fond of sesame. Haven't tried combining the two in a dish. the crunch of sesame will enhance the dish...i am really fond of karelas....sure this must have been a lovely dish. 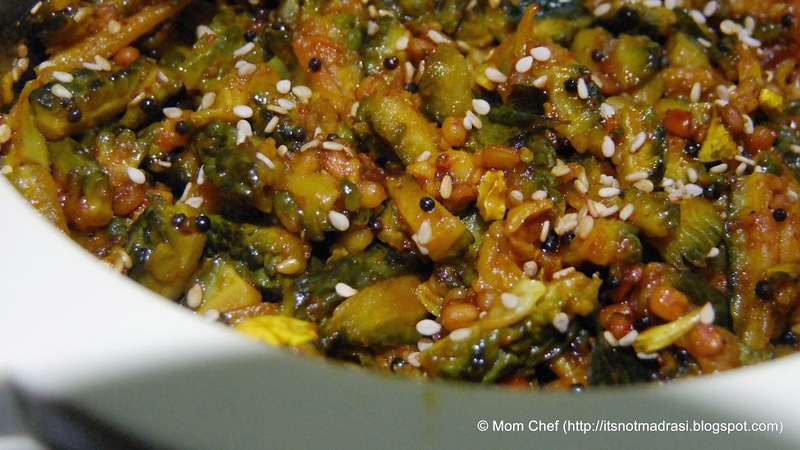 Interesting addition of sesame seeds..I am just about beginning to enjoy bittergourd in a curry my MIL taught me. I love bitter gourd :) .. addition of sesame is new to me. Looks delicious Kalyani. 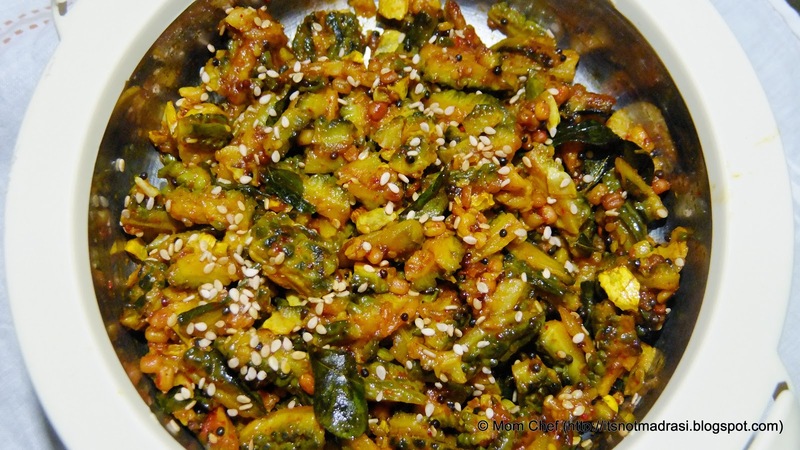 Bittergourd and sesame.. sounds like a must try combo..
Another bitter gourd lover here..Bookmarking your recipe to try..Nice one ! Such a healthy curry! I like it better with Yogurt rice! Never say no to anything with bittergourd, love the addition of sesame seeds..interesting.. I love bittergourd and addition of sesame seeds is new to me will try your version soon. Curry looks yumm. I can say I still don't eat this..:).though I make it for the other elders at home..but that sesame looks nice, will try this for them next time..